Erin Hoover, author of the award winning poetry collection "Barnburner." The Antivenom Poetry Award winner receives a prize of $1,000 and the publication of their manuscript by Elixir Press. “Barnburner” will be published in 2018. Hoover, a Pennsylvania native, graduated from Florida State University with a doctorate in English in May 2017 after receiving her master’s degree from the University of Oregon. 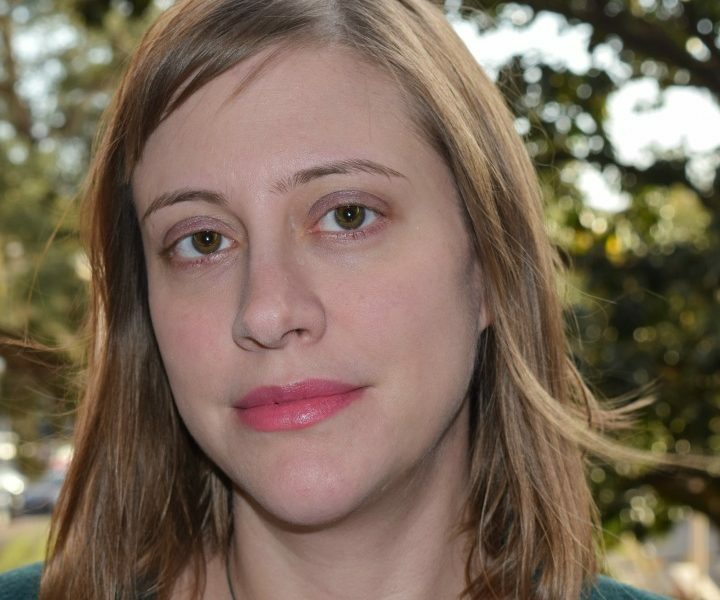 She taught poetry, literature and first-year writing at FSU as a graduate student, and served as editor in chief of “The Southeast Review,” a national literary journal affiliated with FSU. Her poetry collection “Barnburner,” also Hoover’s doctoral creative dissertation, is comprised of 29 poems about the individual’s attempt to reckon with collective cultural experience. It identifies and explores a specific modern mindset: instead of trying to fix something, it’s easier to burn it down. Hoover has published poems in the 2016 edition of The Best American Poetry (the poem “Girls,” chosen by poet and Guggenheim Foundation Director Edward Hirsch), Narrative, Prairie Schooner, Crab Orchard Review, Bennington Review, as well as numerous other magazines. An earlier version of “Barnburner” was named a finalist for Four Way Books’ Levis Poetry Prize and a semi-finalist for the University of Wisconsin’s Brittingham & Pollak Prizes. For more information about Hoover and her works, visit erinhooverpoet.com.